Bank of Uganda’s Director for Financial Markets Development Coordination, Benedict Ssekabira (R), during the probe hearing on Wednesday. 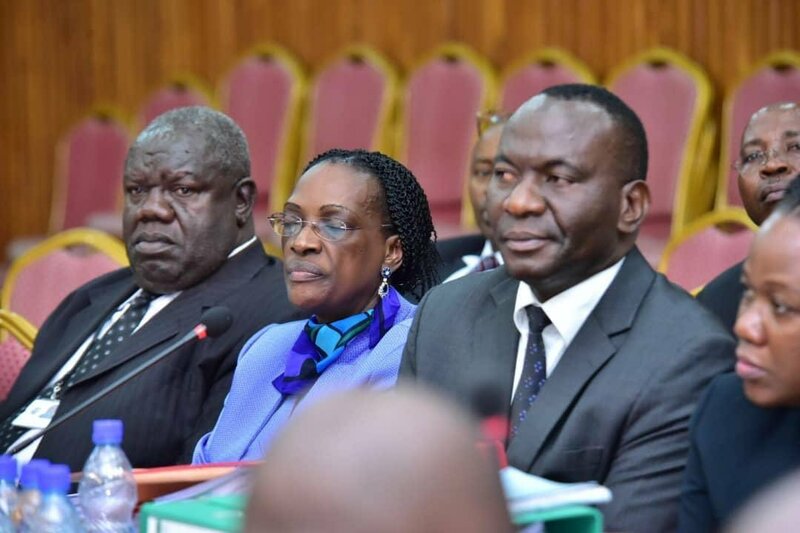 KAMPALA – The Committee of Commissions Statutory Authorities and State Enterprises (COSASE) is conducting investigations into the possibility that some of the staff at Bank of Uganda who had been hired to oversee the liquidation of some of the closed banks are the very people that bought the assets of the defunct banks. The matter came to light when Michael Tusiime (Mbarara Municipality) tabled a letter written and signed by Benedict Ssekabira the Director Financial Markets and Development Coordination on behalf Nile River Acquisition Company on the loan portfolio of Greenland Bank, International Credit Bank and Cooperative Bank, yet Bank of Uganda had designated Ssekabira as the liquidation agent to oversee the sale of the loan portfolio. The loan portfolio under contention were over Shs135Bn but Bank of Uganda sold them to Shs8Bn, recording a 93% discount to Nile River Acquisition Company, which was said to be based in Mauritius. Tusiime wondered how the agent of the liquidator who was paid for liquidation took part in identifying the buyer for Nile River Acquisition. Another person that is said to have benefitted from the loan portfolio is said to have been one of the consultants of J N Kirkland Associates, Kakembo Katende who is said to have benefitted from the security bonanza.